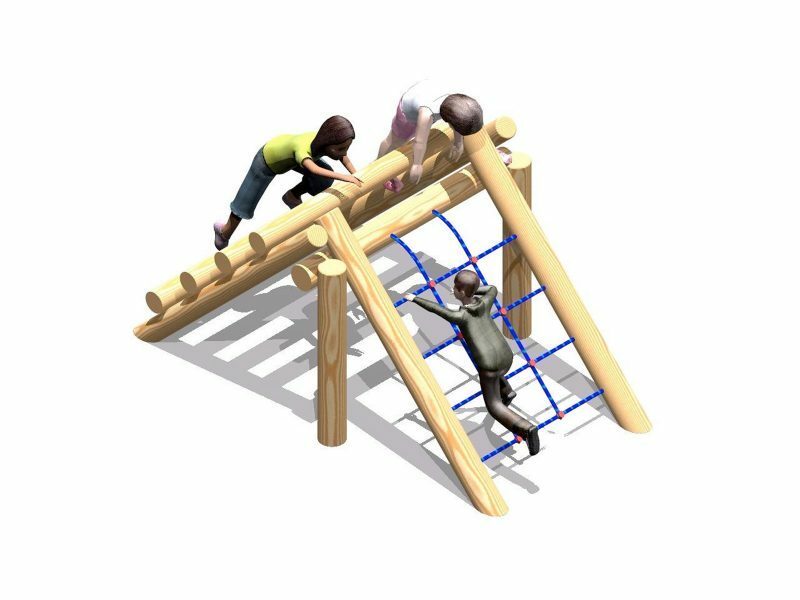 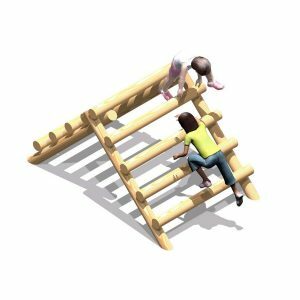 The Scramble Net Log Climber is similar to the Log Climber but with a Scramble Net on one side and Climbing Logs on the other side. 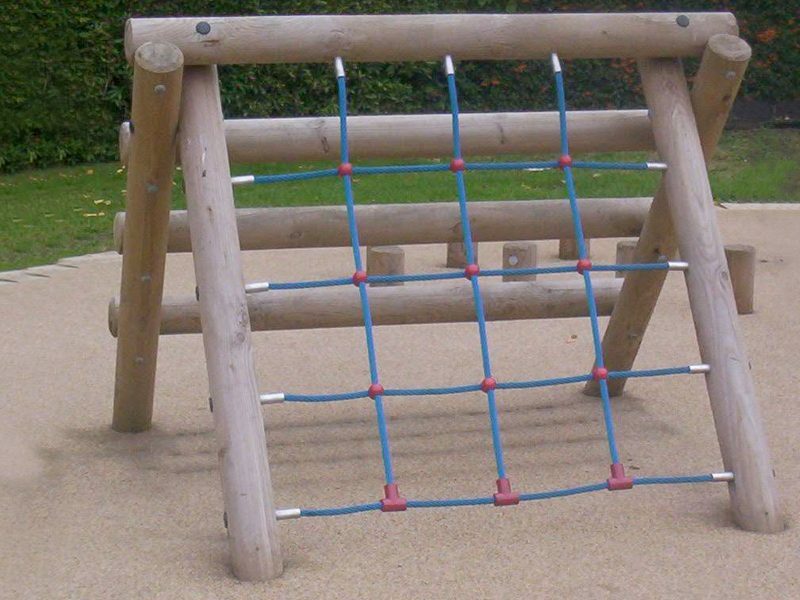 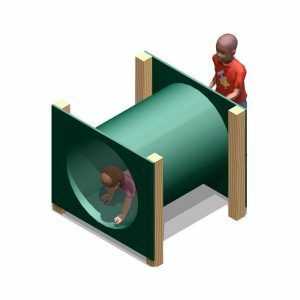 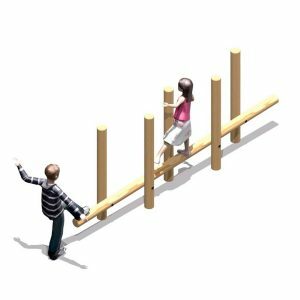 The object of this item is that the user has to climb up one side and make their way down the other side. 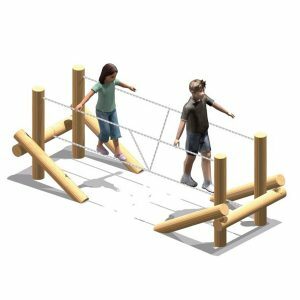 This will assist in helping to develop their hand-eye co-ordination as well as their balance. 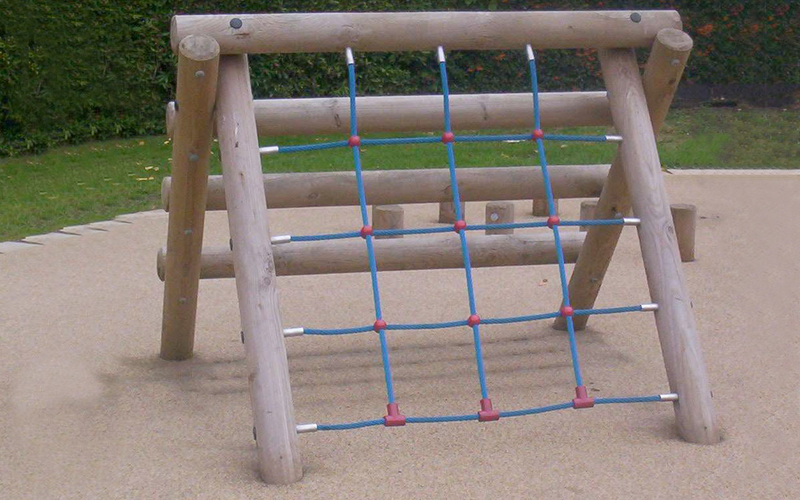 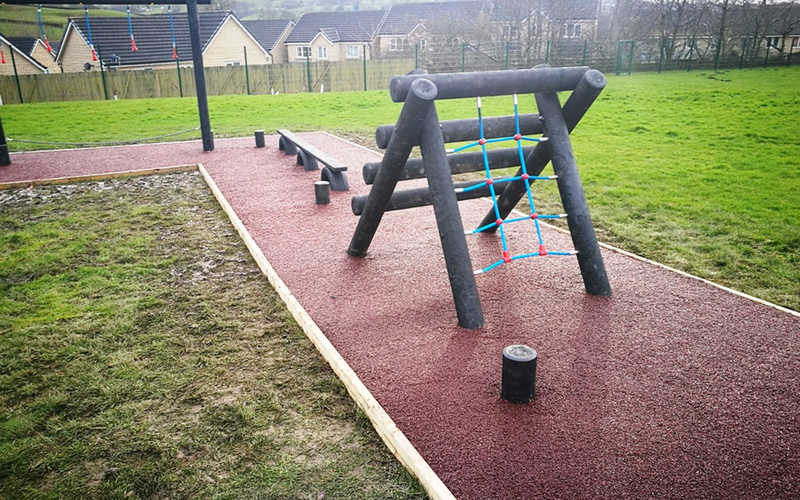 Individual adventure trail items can be installed in any sequence, number or configuration. 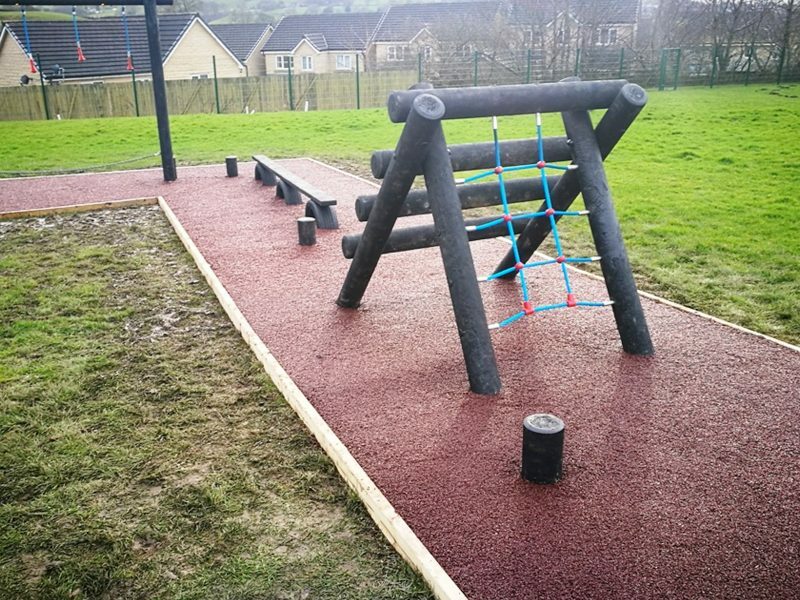 This makes them suitable for practically any site. 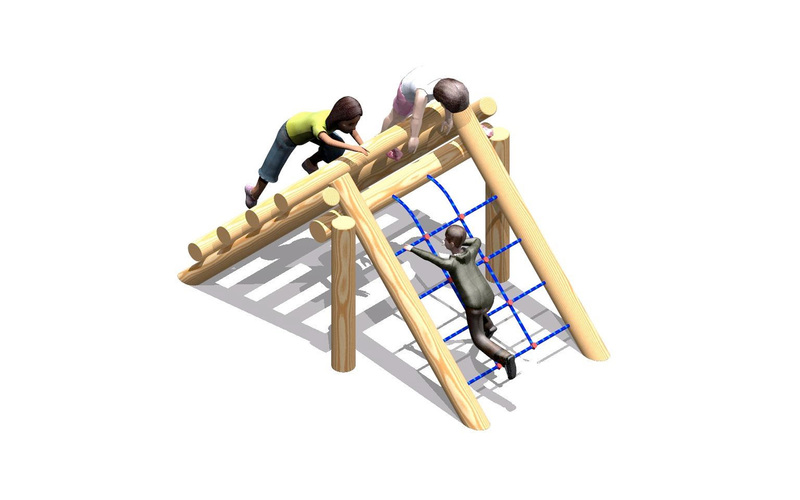 The objective is for user to progress from one item to the next in the circuit or trail, without touching the ground.